We’re standing in a fridge that’s the size of a two bedroom apartment at Food Link Tulare County. The ice box is stacked with produce and dairy products that will soon be in the fridges of Tulare families. Development director for the food bank, Nicole Celaya, says some families who need food won’t get food. 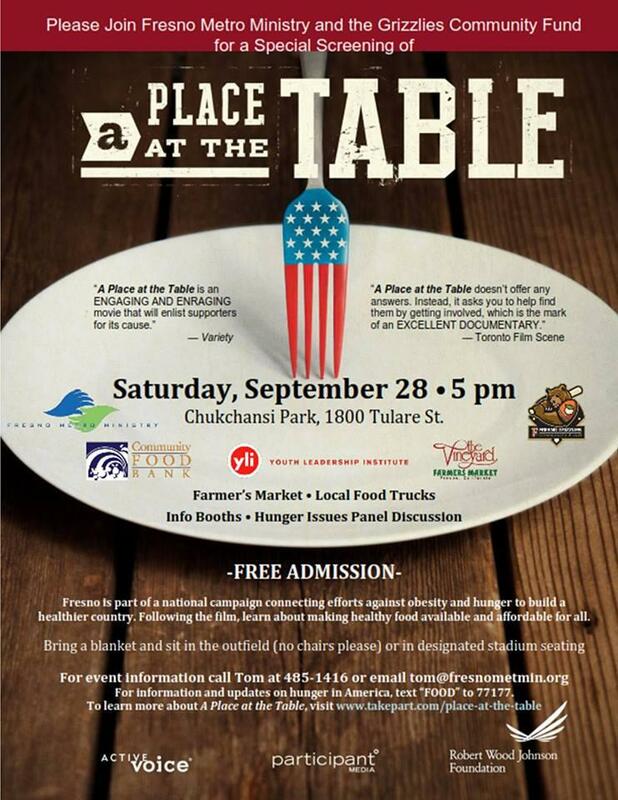 Hunger is a big problem across America but especially here in the San Joaquin Valley. 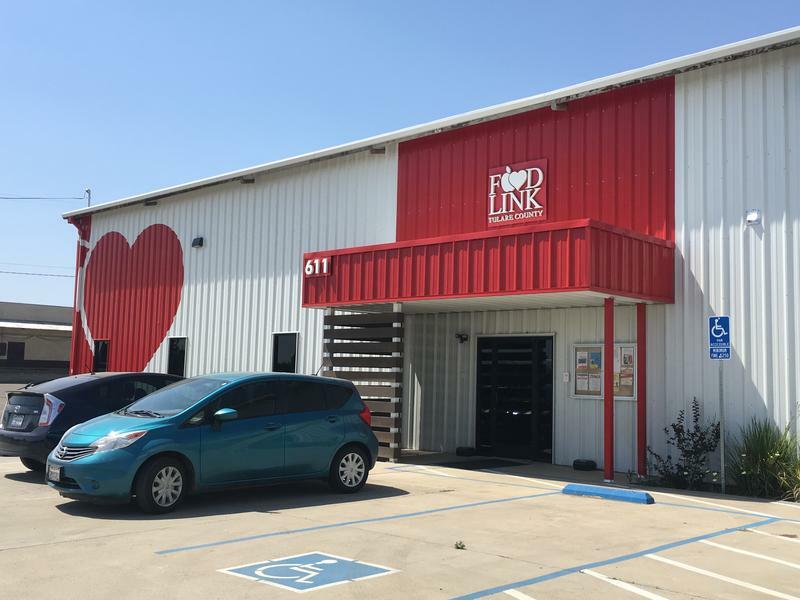 One of the local groups taking on the issue is FoodLink of Tulare County. 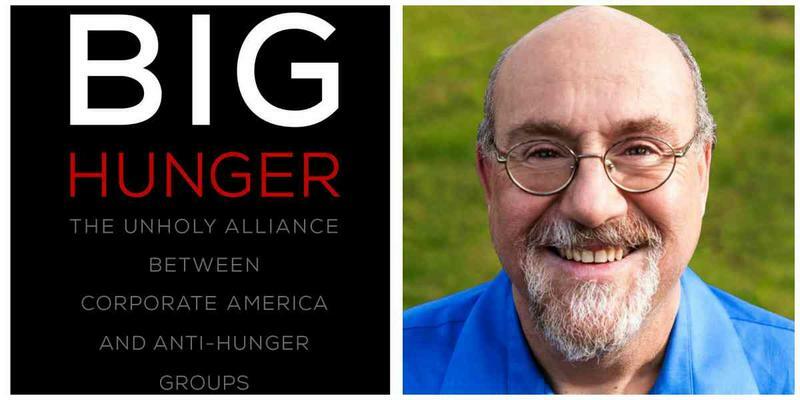 The Exeter-based organization is dedicated to bridging the gap between between health and anti-hunger relief efforts. Hundreds of different food crops are raised in and around Fresno County. But many of those who live and work nearby have little access to the fruits of their own landscape. 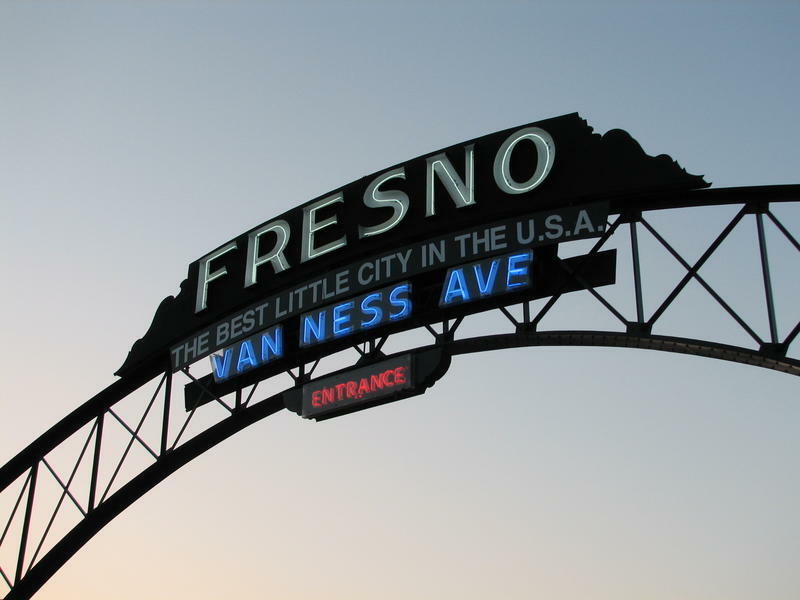 In fact, more people go hungry here in the Fresno metropolitan area than almost anywhere else in the entire nation. It’s this not-so-modest problem that Food Commons Fresno wants to solve — starting with their Community Supported Agriculture (or CSA) brand, OOOOBY. "OOOOBY! Get used to saying it. OOOOBY, Out Of Our Own Backyards…." 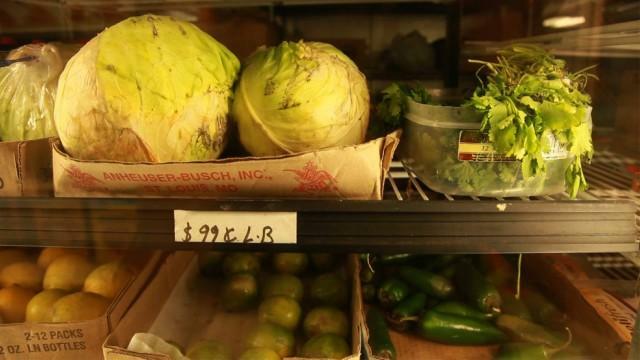 A new survey of food insecurity in some of Fresno's poorest neighborhoods is shedding light on a problem that plagues much of the valley. On Valley Edition we talked to Philip Erro, the driving force behind the new "Fresno Hunger Count" project, and Andy Souza of the Community Food Bank. Souza says the new data may help local organizations like his be more proactive in meeting the needs of those who go hungry, rather than simply being reactive. This week on Valley Edition we take a look at the issues of water, hunger, prisons and the effects of repetitive hits form football. Beginning the show, Valley Edition Host Joe Moore speaks with Assembly Member Henry T. Perea about the issue of water across the state. 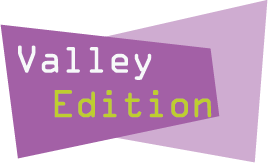 This week on Valley Edition we take a look at a few issues impacting the region. Valley Public Radio Reporter Ezra David Romero reports on how the implementation of High Speed Rail will force businesses and residents along its path to relocate. Fresno Bee Reporter Tim Sheehan joins Valley Edition Host Joe Moore for an update on the statewide project. This week on Valley Edition, we look at how Valley residents are working to develop new, grassroots solutions to the problem of hunger in our community. We also look at how planned court closures will affect the residents of rural Fresno County communities, and learn about this year's Woodward Shakespeare Festival. Across the southern San Joaquin Valley, the commercial citrus harvest is virtually over. But over the past two months, a volunteer group has been working in backyards across Tulare county to collect fruit that would otherwise go to waste, and donate it to those in need. FM89's Joe Moore has this report. A new study of hunger in America ranks Bakersfield and Fresno number one and two in the nation in number of residents who struggle to put food on the table. How has the richest agricultural area in the nation become home to so many people who can't afford food? Ian Anderson with the Community Action Partnership of Kern County and Andy Souza, with Fresno's Community Food Bank join host Juanita Stevenson to talk about how to bring access to food to communities that struggle with poverty, in the middle of persistent economic challenges. This week on Valley Edition, we talk about whether the Valley is the worst place in the US to find a job, as US News and World Report claims in a new article. We talk with UC Merced's new chancellor about the efforts at the campus to boost the region's economy. And we close the program with a report about a theater project in Sanger that aims to bring people together over the topic of hunger, in a land of agricultural abundance. It's lunchtime at the Sanger High School Cafeteria. But instead of hundreds of teenagers, the room on this Saturday is filled with ordinary Valley residents of all ages and ethnicities, some writers, and a handful of theatre professionals from LA's Cornerstone Theatre. And even though many of them just ate, the conversation quickly turns to the issue of the day… hunger. This week on Valley Edition we talk about the challenges of balancing academics and athletics at NCAA Division I schools, and hear from Fresno State President John Welty and CSUB President Horace Mitchell. We also talk about efforts to help those in need this holiday season.